Four weeks fly by at the blink of an eye, today is the 1st day of school after the September term break. How's every one doing? I don't know about you but I'm kinda relieve that school's started, I think DinoBoy needs more activities to keep him occupy and to divert his energy some where. I have an urge to bake something, I have been wanting to bake a smaller Devil's Food Chocolate cake for the passed weeks but did not have a chance to go to Phoon Huat to gather some of the ingredients. Yupe, my hands are itchy and I feel a little bit restless when I see others' cakes & tarts. So I got a little bit biased and decided to show mostly bakes recipes today. 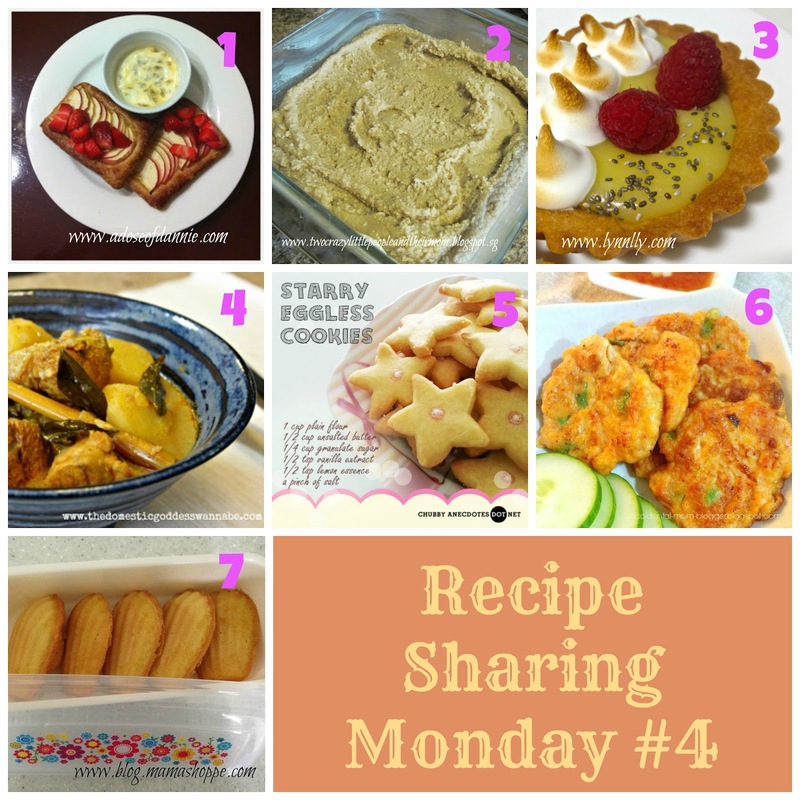 Till the next Recipe Sharing Monday post, remember to cook and link up with my Foodie Fridays linky party that is happening on every Friday, your recipe may be feature next! For the previous Receipe Sharing Monday Post click here.